The moment you hear the words – Confirmed Ticket – from someone’s mouth, the first thought comes to your mind is, it’s good that he got the confirmed ticket of railway booking. Thanks to the railway authorities that in the online booking software, they have introduced the issuance of the confirmed ticket only otherwise one continue to process the waiting list or approach the railway authorities with ‘sifarish’ to get the ticket confirmed from the official quota. 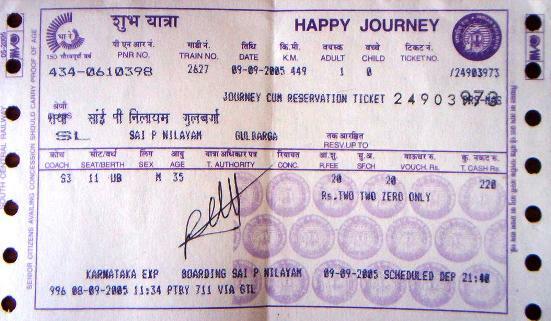 When it comes to travelling in India by train, the first question strikes is how to get a confirmed railway ticket. 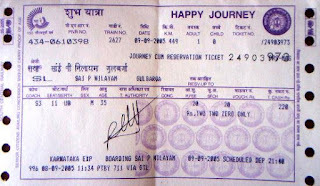 We all have our stories about the uncertainty of getting a confirmed ticket at the Indian Railways. Standing in queues at the reservation counters with family or friends accompanying you in another queue is also not a sure shot way of getting the desired train ticket. Even though IRCTC helped in changing the scenario of booking the train tickets in India by doing online reservations, there are times when getting an online ticket in ‘tatkal quota’ also becomes next to impossible. But this is not the whole story. But now, I am going to share with you the real meaning of ‘confirmed ticket’. Have you ever thought of equating the ‘confirmed ticket’ with your life? Even when I searched on the Google, the choice given by the search engine was PNR – Passenger Name Record – status online. Hardly few of us think about this as we don’t have time to such issues in the young age – an age to enjoy study and settle in life. But, we forget that everything in nature is vanishing able with the passage of time, in the case of both living or non-living. This process in nature is going from centuries and creating histories of various events globally. We all too are making our record of life in the memory of others known or unknown to us. We maintain relations according to our deeds and remembered after leaving for heavenly abode, accordingly. Anyhow, remembering keeps us alive, either way. Frankly speaking, one of my classmate, who was active in his studies but I never thought that after retirement, he will delivery such a nice discourse on the lifestyles. 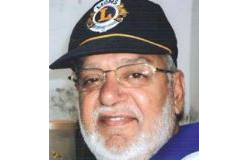 He is now a day’s exclusively involved in serving the cows –at the Gau Mata – by joining a group of retirees. The other day, he was invited to deliver a lecture in the meeting of Senior Citizen Forum, he very nicely portrayed the story of Krishan-Sudama, Radha-Krishan with references to holy scriptures. He spoke in a very melodious voice in a poetic style that we should always do something good for the next generations by fighting the battle on various issues like illiteracy, shortage of food and water, diseases, global warming pollution so that our coming generations have amity and abundance instead of festering enmity. In the end, he particularly made a reference that we are born with a ‘confirmed ticket’ for leaving this beautiful word one day to create a space for the new generations. Thanks to him for realizing me the real meaning of ‘confirmed ticket’ with reference to our life.